On this day exactly sixty years ago, Gamal Abdul Nasser nationalized the Suez Canal Company in Egypt, changing—forever after—the political landscape of the Arab world. The historic decision triggered the Suez War just three months later and brought an end to British influence in the region, which was quickly replaced by Americanism after Suez. The Suez Canal opened in 1869 after ten years of work financed by the French and Egyptian governments. 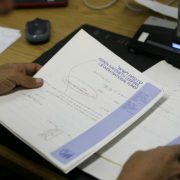 It was operated by the Egyptian-chartered International Company of the Suez Maritime Canal. The area surrounding the canal remained sovereign Egyptian territory and the only land bridge between Africa and Asia. It was also the shortest ocean link between the Mediterranean and the Indian Ocean; a vital route for trading nations, helping European powers exercise control over their colonies. Egyptians had toiled in the trenches of Suez for an entire decade, and thousands had died during the canal’s construction. Tales of their suffering had been handed down from one generation to another. Six years after its official opening, Egypt sold its share to the British government to settle burdensome debts. The English were eager to buy, obtaining 44% of the Canal for less than £4 million. Following the 1882 invasion and occupation of Egypt, Great Britain took de facto control of the country as a whole, though the 1888 Convention of Constantinople proclaimed the Canal a neutral zone under British protection. The Ottoman Empire agreed to permit international shipping to pass freely through the canal in times of both war and peace. During World War I, Britain and France closed the canal to non-Allied shipping. 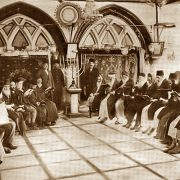 When the German-Ottoman forces tried to storm it in February 1915, London committed 100,000 troops to the defense of Egypt for what remained of the Great War. By 1955, oil accounted for half of the canal’s traffic. Two thirds of Europe’s oil passed through Suez. Arab nationalists never accepted British ownership of the Canal, claiming that it ought to be returned to its rightful owners. 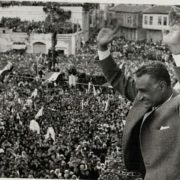 Nasser’s ground-breaking nationalization speech was delivered before an enthusiastic crowd in the port city of Alexandria on 26 July 1956. During the speech, he pronounced the name of Ferdiland de Lesseps, the French developer who built the canal. It was the code word for Egyptian forces to seize control of the Canal and implement national control. All of the company’s assets were frozen, and Egypt announced stockholders would be paid the price of their shares according to the day’s closing price on the Paris Stock Exchange. Nasser’s historic decision came in response to the World Bank’s refusal to provide him with financial assistance to build the Aswan High Dam. Nasser needed the High Dam to control floods, provide water for irrigation, and generate hydroelectricity. Industrialization, rather than acting as an Arab hero, was the original objective of his presidency. British Prime Minister Anthony Eden saw Nasser as another Mussolini, and constantly drew parallels between his regime and Italian Fascism. France happened to share in Great Britain’s view, and Israeli needed little encouragement to go to war against Egypt. The French were furious with Nasser for supporting the Algerian Revolution; caskets carrying bodies of French soldiers were returning to Paris daily, all killed by the Algerian Resistance. On 29 July, the French government decided that it would go to war with Egypt. The US was not included in the plan, which proved to be a fatal error on France and Great Britain’s part. The Franco-British-Israeli war, officially named Operation Musketeer, began on 29 October 1956 with a two-day air campaign that gave the British air superiority over Egypt. The Operation also called for the capture of Alexandria. Following a sea assault on the city, British armored divisions would engage in battles north of Cairo to break the three hundred thousand-strong Egyptian army. Meanwhile, the Israelis would march on Sinai, Sharm el-Sheikh, and Gaza. On 30 October, Nasser dispatched Ibrahim el Awal, an Egyptian destroyer, to Haifa to shell the occupied city’s coastal oil installations with its four 102 mn (4-inch) guns. Two Israeli destroyers, INS Eilat and INS Yaffo, followed the Egyptian ship as it sailed northwest. They effectively succeeded in destroying Ibrahim el Awal‘s turbo generator and anti-aircraft guns. Left without power and unable to steer, it surrendered to the Israelis. It was subsequently incorporated into the Israeli Navy and renamed INS Haifa. Nasser proclaimed it a “people’s war.” Guns were handed out to Egyptian civilians. The November Soviet invasion of Hungary, intended to clamp down on a rebellion against Stalinist rule, played nicely into Nasser’s hands. A revolt had broken out in Budapest that October, prompting seventeen armed Russian divisions to march into Hungary, an act vigorously condemned by the United States. Nasser reasoned that Eisenhower would not want to look like a hypocrite, turning a blind eye to the British-Israel-French invasion of Egypt while condemning the Russian invasion of Hungary. Investing in the Hungary crisis worked, and Eisenhower did in fact apply the needed pressure on Tel Aviv, London, and Paris to end the war. In Riyadh, King Saud, who had never been fond of Nasser, imposed the first Arab oil embargo, sending prices soaring throughout Europe and the US. Overnight, the man was transformed into a living legend throughout the Muslim World. In Lahore, Pakistan, more than 300,000 people took to the streets carrying pictures of Nasser, while in Karachi, a mob burned down the British High Commission. On 30 October, the US called for a UN Security Council meeting, submitting a draft resolution calling on Israel to immediately withdraw its armed forces. The British and the French, of course, vetoed the resolution. On 31 October, the Security Council passed Resolution 119, calling for an emergency session of the General Assembly for the very first time. 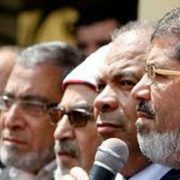 The GA adopted the United States’ proposal calling for an immediate ceasefire, the withdrawal of all forces, an arms embargo, and the reopening of the Suez Canal, and establishing the first United Nations Emergency Force (UNEF). The United States took the bold move of applying financial pressure on Great Britain to end the invasion. The Bank of England had lost $45 million between 30 October and 2 November, because London’s oil supply had been severely damaged by the closing of the Canal. The British sought immediate assistance from the International Monetary Fund, but this too was denied by the United States. Eisenhower ordered Treasury Secretary George Humphrey to prepare to sell part of the US government’s Sterling Bond holdings. The US government held these bonds in part to aid post-war Britain’s economy, and as partial payment of Britain’s enormous World War II debt to the US government, American corporations, and individuals. Unable to continue with so much pressure from Washington, Great Britain announced a unilateral ceasefire on 6 November. The war ended with sixteen British soldiers dead, and ninety-six wounded. French casualties stood at ten dead and thirty-three wounded. The Israelis lost 231 soldiers. No less than one thousand Egyptians died in the Suez War. From a military perspective, the British and their allies had won in Suez. 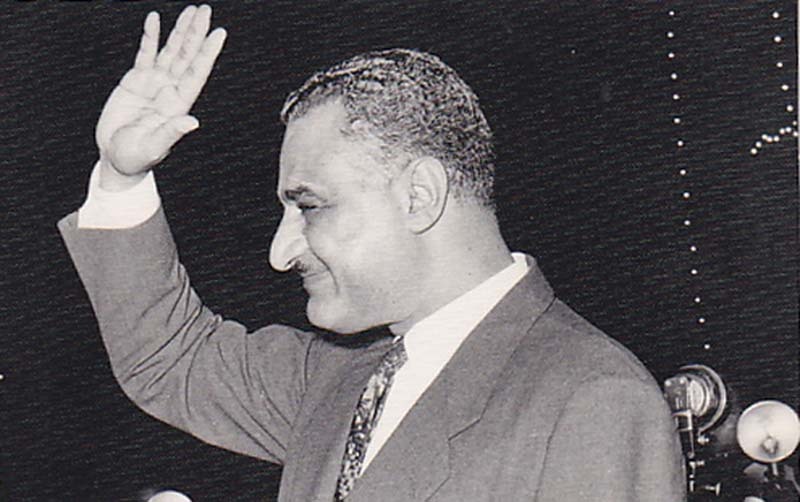 It had nevertheless ended in political disaster for them, and represented a major PR victory for Gamal Abdul Nasser. The political and psychological impact of the crisis’s denouement had a fundamental effect on British politics. Anthony Eden was accused of misleading parliament and resigned from office in January 1957. His successor, Harold Macmillan, greatly accelerated de-colonization and sought to recapture the benevolence of the United States. Increasingly, British foreign policy turned away from acting as a great imperial power. During the 1960s there was speculation that Prime Minister Harold Wilson’s continual refusals to send British troops to Vietnam, even as a token force, and despite President Lyndon B. Johnson’s persistent requests, were in part due to the American opposition to the Suez war years earlier. 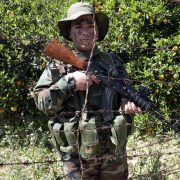 As a direct result of the crisis, and in order to prevent further Soviet expansion in the region, early in 1957 Eisenhower asked Congress for authorization to use military force should it be requested by any Middle Eastern nation to check aggression. 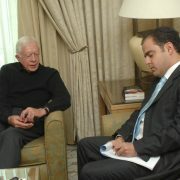 Secondly, he requested that they set aside $200 million for Middle Eastern countries desiring US aid. Congress granted both requests, and this policy formally became known as the Eisenhower Doctrine.